What Makes Holsten Taste So Damn Good? 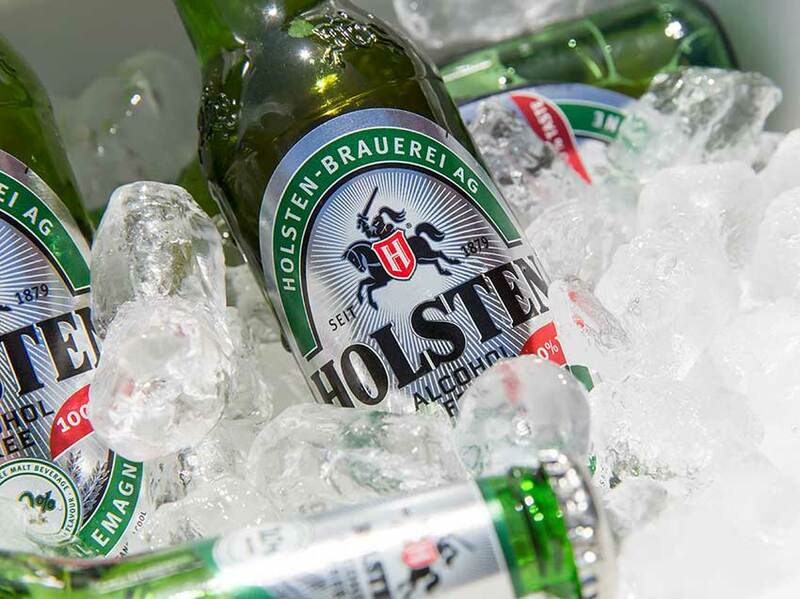 Here at Holsten, we’re not one to blow our own trumpet. But take a single sip of 0.0% and you’ll understand our non-alcoholic beer is different. Unique. Unlike other wannabes our baby patiently sits through the entire brewing process, taking in the full flavours and finishing with a refreshing taste that everyone can enjoy. Commonly, non-alcoholic beers sacrifice their flavour from an extensive dilution process. The process cripples the tipple and turns it into a flat, hoppy mess. No thanks. The alternative is to cut short the fermenting process, although this leaves an equally insipid finish to a strong malty brew. This is where Holsten steps in. We carefully tip-toe through a five step process using the finest barley and hops in the classic Reinheitsgebot method. The result? A great taste that is almost identical to alcoholic beer, minus the morning hangover and the calories that go with it. Take a look for yourself. Step 1. We’re born a Premium German Pilsener. Step 2. We make the mash, boil the wort and add hops. Step 3. As with alcoholic beer, the brew goes through a fermentation process. Step 4. Prior to bottling, our alcohol is removed using a gentle evaporation. Step 5. We are carbonated and bottled. Step 6. We chill out in the fridge and await your company. Disclaimer: No beers were hurt during the brewing process of our drink. Ingredients: Water, barley, malt, carbon dioxide, hops, hop extract, love and attention.